STORY: A martial arts tournament known as the "King of Fighters" tournament, is being held in the fictional American city of South Town and sponsored by local crime boss Geese Howard. 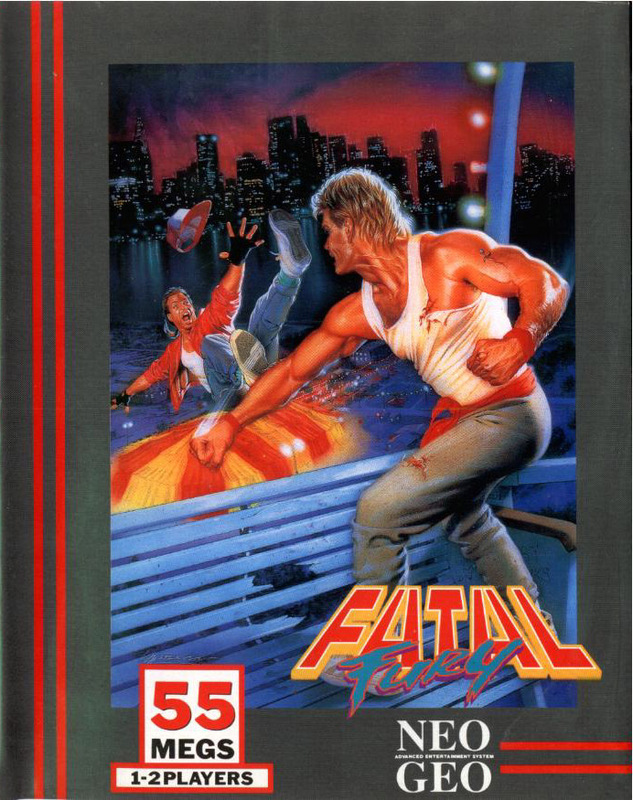 Ten years prior to the events of the game, Geese murdered a rival martial artist named Jeff Bogard who was on his trail. 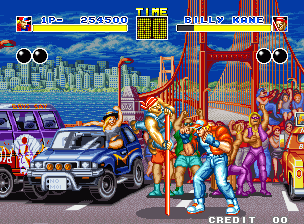 Now, Jeff's sons, Terry and Andy, along with their friend Joe Higashi, enter the tournament to get their revenge on Geese. 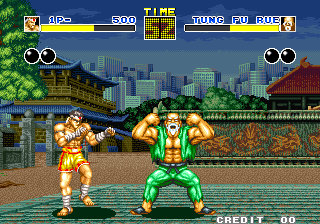 REVIEW: In many ways, Fatal Fury was SNK's answer to Capcom's wildly successful new 2D fighter Street Fighter 2 (released in early 1991). 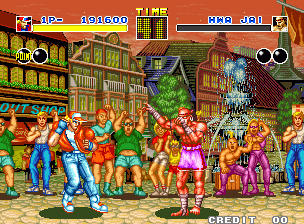 In Fatal Fury, the player takes the role of one of three heroes (Terry, Andy, or Joe), and works their way up the tournament circuit. The first four CPU opponents are Richard Meyer, Duck King, Tung Fue Rue, and Michael Max. 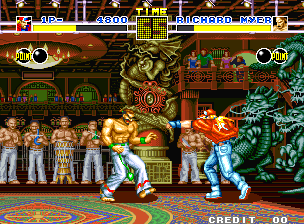 Players can select the order of their opponents - a unique attribute to Fatal Fury. 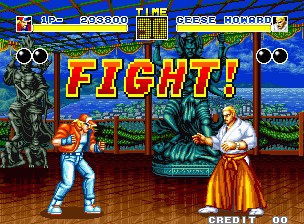 After defeating the first four opponents, the player will then face off against Hwa Jai, Raiden, and Billy Kane (in that order) before fighting the final boss, Geese Howard. I'm glad Terry lost the high-tops. 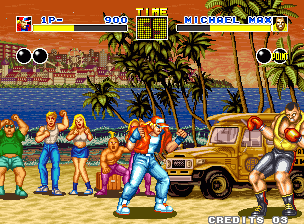 Comparable to the arcade smash hit that was Street Fighter 2 (and yes, we must compare), the gameplay engine of Fatal Fury is a bit stiff, and feels slower also. To put it bluntly, character movement isn't nearly as responsive as it is in SF2. 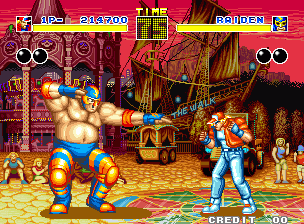 However, Fatal Fury characters can move around a bit "differently" than characters from Street Fighter. 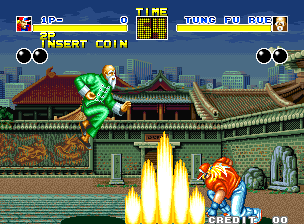 The most noteworthy gameplay innovation of Fatal Fury is the ability to "jump" into the background or foreground and continue fighting. Character sprites will appear smaller in the background, and then bigger and more detailed in the foreground. This graphical effect looked kinda weird, yet somehow visually impressive at the same time (considering the time period). Yeah, I think it was a borderline "graphical achievement" for the time. Jump spin back kick to the gut. Ouch! 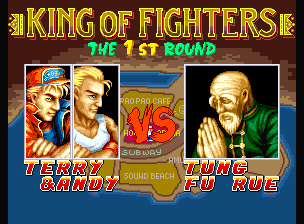 Fatal Fury's character designs are unique and memorable in their own right, but in my book, they don't quite match up to the charismatic roster of SF2. 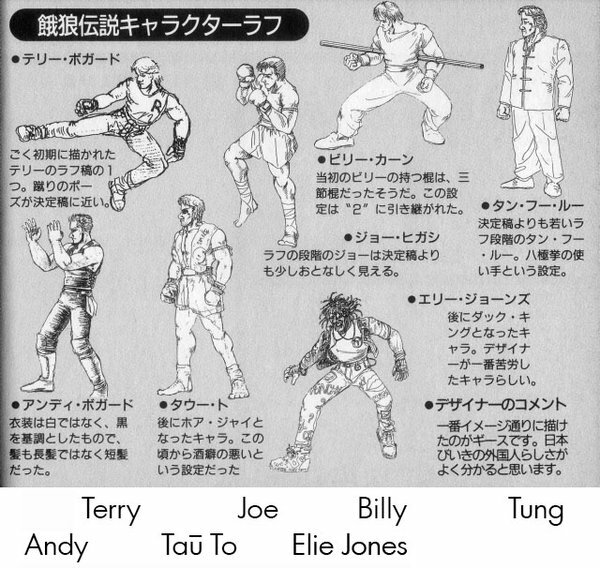 The fighters of Fatal Fury had some serious development to do (and thank goodness they did in the later games). 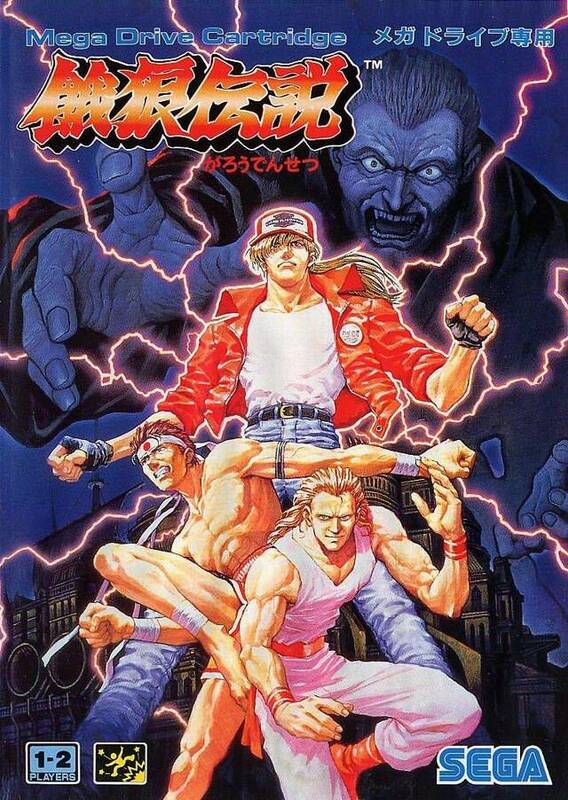 To me, the first Fatal Fury installment was simply an alternative to Street Fighter 2 (perhaps for the players who were tired of getting their asses handed to them at the arcades. Just kidding). 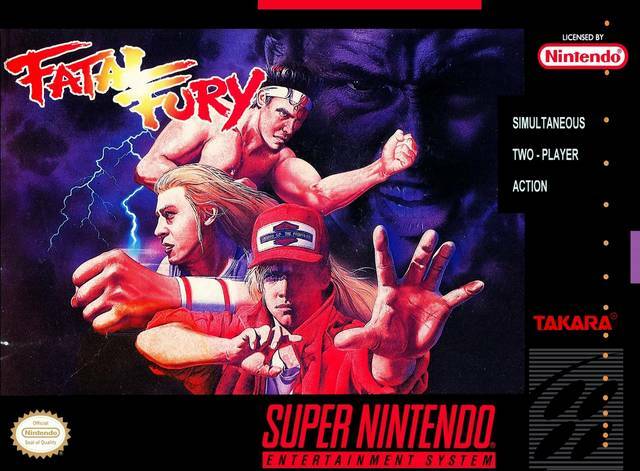 Little did we know at the time, Fatal Fury was the foundation of what would become an iconic fighting game franchise... one that would introduce many memorable characters, who would later cross over to numerous other fighting games. Raiden was a pretty impressive sprite for 1991. 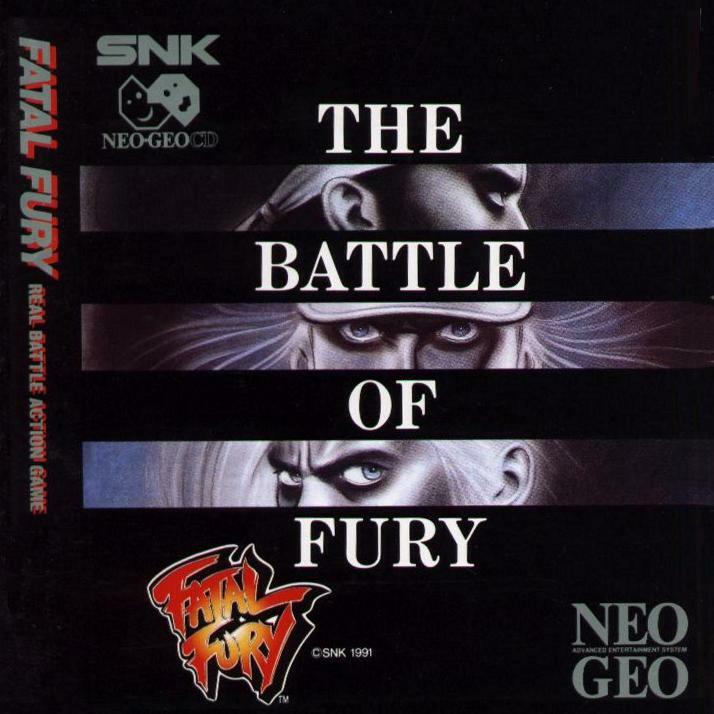 Final Words: No matter how big of an SNK fan you think you are, you'd have to admit that Fatal Fury wasn't a great fighting game. 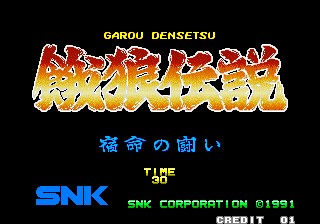 SNK themselves would admit that they were riding the coattails of the unprecedented success that Street Fighter 2 was seeing at arcades around the world. 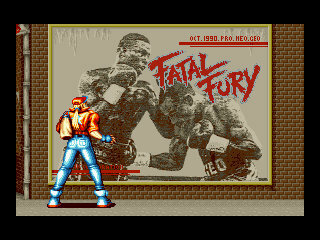 C'mon, even the "red & yellow" Fatal Fury logo is basically a rip-off of Street Fighter 2's. 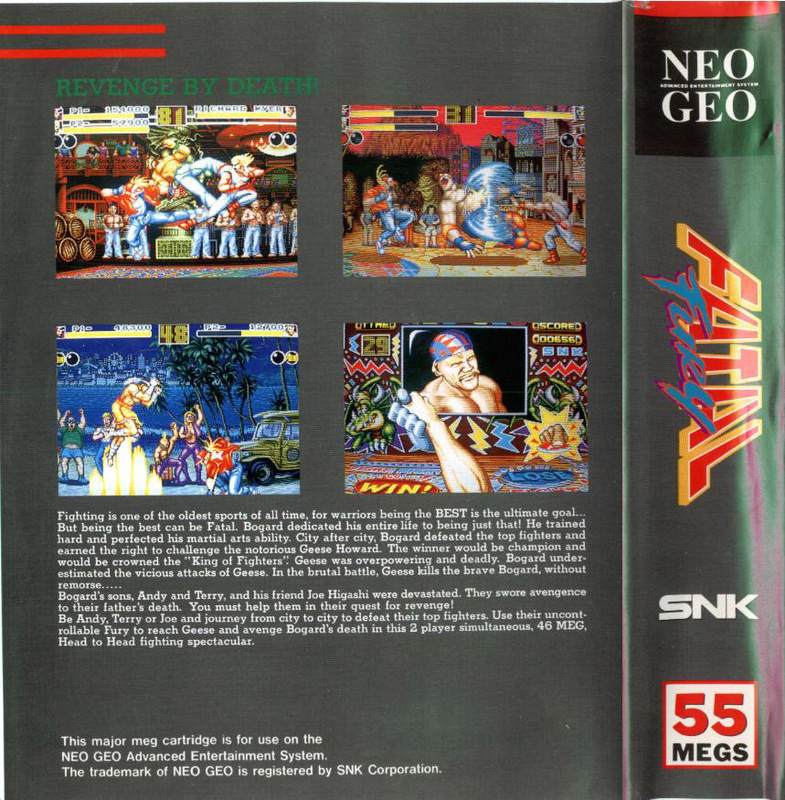 Nonetheless, Fatal Fury was of course an important stepping stone in SNK history... a monumental one that would pave the way for future hit fighting games. 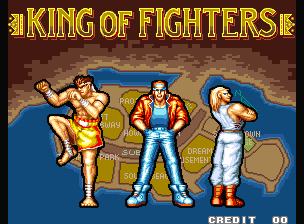 Most importantly, Fatal Fury's characters developed greatly in later sequels and would appear in many SNK (and Capcom) crossovers.